Don’t mistake Jesus Camp for Godspell! Even though it’s not a thriller, Jesus Camp is a truly terrifying film. It is, in fact, a purely observational documentary, one that serves as a galvanizing cautionary revelation about Evangelical indoctrination of children in heartland America. 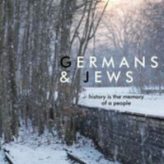 Germans & Jews, a documentary by Janina Quint and Tal Recanati, looks at a contemporary cultural relationship between two groups of people with a devastating history. It compares current trends in personal identification, political expectations and social stereotyping to those which existed during the 1930s and 40s, as prelude and during the Nazi regime. 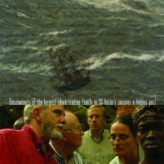 Traces of The Trade: A Story From The Deep North is a deeply personal documentary made by seminarian-turned-filmmaker Katrina Browne, who sets out to investigate her forebears occupation as prominent New England slave traders and tries to identify what that fact of family history means to her living relatives and herself. 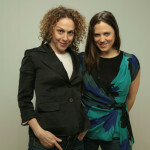 The film is co-directed by Alla Kovgan and Jude Ray. 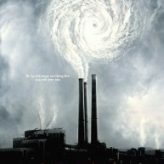 An Inconvenient Truth is basically a concert film, the genre that documents a performance. But, instead of seeing a rock star or stand up comedian belting music or one liners, we meet Al Gore, the former Vice President of the United States. Mr. Gore is presenting the slide show in which he delivers the down and dirty about global warming–the most pressing environmental issue of our time. Mr. Gore has given more than 1000 performances of his show around the world, but it is very important for more people to see it and get the global warming message–hence the film. 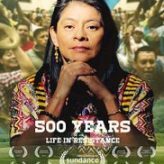 500 Years is the third and final film in Pamela Yates‘ extraordinary three-film documentary series about the Mayan people’s ongoing struggle for equality and justice in Guatemala. With her politically-charged trilogy, The Resistance Saga, Yates has actually changed the course of history. 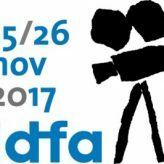 500 Years is the culmination of 35 years of filmmaker dedication to coverage of a pressing social and political issue. Stand alone or viewed with it’s companion films, it is a masterful example of how movies can make a difference. 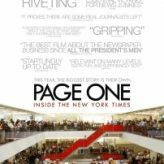 The film and its companion documentaries are must-sees for anyone who is interested in understanding current events and the role media can play in shaping them. 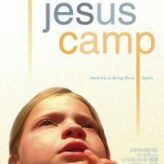 Jesus Camp is an extraordinary exposé about the well-organized Evangelical indoctrination of children in heartland America to become soldiers for Christ. An enlightening look at religious fanaticism in the United States, it serves as a cautionary tale about fundamentalist Christian recruitment and conditioning of preteens to prepare them to battle al-Qaeda, whose kids fast, bare arms and sacrifice themselves for Islam. 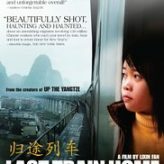 A real life horror film, it is one of the most gripping, frightening movies of 2006 and a must-see documentary for anyone who values the Bill of Rights. Writer/Director Amanda Kernell’s first feature is a gripping coming of age drama based on the real life experiences of her grandmother. 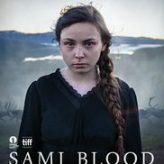 Set in Sweden during the 1930s, at a time when Eugenics theories about ethnic superiority were trending, the narrative follows teenage Elle-Marje as she is plucked from her semi-nomadic family of traditional Sami reindeer herders in Lapland and sent to a Swedish boarding school to be assimilate into the predominant Swedish social structure and culture — in which Samis were considered to be ethnically inferior and relegated to menial labor. 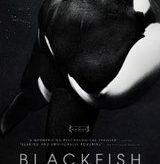 The blackfish referenced in this documentary’s title is actually named Tilikum. He is arguably the world’s best known killer whale, or orca, and he currently resides at SeaWorld in Orlando, Florida. Tilikum, who has been captive and on display at the theme park for more than two decades, is regularly featured in SeaWorld’s animal shows at Shamu Stadium. He is responsible for the deaths of three human beings, including Dawn Branceau, a highly skilled and experienced whale trainer who was one of the SeaWorld staffers working most closely with Tilikum until her death in February, 2010. 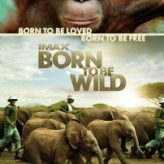 Born To Be Wild invites you to go on a remarkable adventure into the wilds of Kenya and Borneo to visit animal ‘orphanages’ at which baby elephants and orangutans whose parents have died — most often at the hands of poachers — are cared for by two women, Daphne Sheldrick and Birute Galdikas, respectfully, who’ve dedicated their lives to raising the infants and returning them to the wild. Godfrey Cheshire, a noted and highly acclaimed film critic, uses his cinematic smarts and sensibility to good effect in Moving Midway, his first feature documentary about the relocation of his ancestral home, an antebellum North Carolina plantation named Midway, from its original location, now rapidly being encroached upon by Raleigh’s urban sprawl, to a more secluded and peaceful spot, still on family property, several miles away. The film is a fascinating study of family, location and changing times in the South. Casting JonBenet is a deeply disturbing documentary that delves into the still unsolved murder mystery in the case of JonBenet Ramsey, and how the story of the six-year old beauty pageant queen whose short life was apparently filled with abuse has impacted America’s psyche. 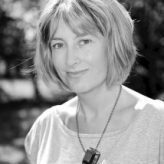 Rather than representing the circumstances surrounding the actual murder or attempting to solve the mystery, filmmaker Kitty Green uses an usual point of departure to plumb public opinion about what a happened on the night of the murder and who did what to whom. He was the ultimate Harlem gangster. 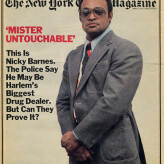 The New York Times Magazine dubbed Leroy “Nicky” Barnes Mr. Untouchable, and he lived large on the millions of dollars he made as head honcho in Harlem’s heroin trade. It was a business he ran ruthlessly, until 1977, when he was arrested, turned State’s evidence and disappeared into the witness protection program. Do We Want or Need a Fence Along the US-Mexico Border? In 2008, the US government decided to build a 700-mile long fence along the 2000-mile border with Mexico. 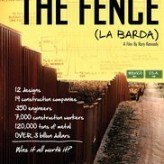 Intended to block terrorists and illegal immigrants from entering the country, the fence was built by 19 construction companies, 350 engineers, thousands of construction workers using tens of thousands of tons of metal — at a cost of $3-billion. Filmmaker Rory Kennedy uses statistics, archival and new footage, interviews with experts and humorous commentary to investigate the project’s impact and question its value, effectiveness and ethics. 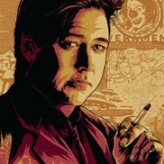 Bill Hicks, the famed American comedian and musician who died of cancer in 1994 at age 32, lives on in this documentary that uses archival footage of his childhood and his funny and irreverent stand up routines, as well as animated family photos and interviews with friends and colleagues to chronicle the comedian’s life and career. Chinese artist Ai Weiwei is probably as well known for his protests against political repression in contemporary China as he is for his vastly variable works of art. 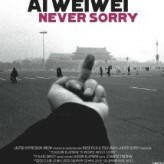 In Ai Weiwei: Never Sorry, first time filmmaker Alison Klayman chronicles the daily life of the artist as he uses his work and his notoriety to draw attention to his grievances against the current Chinese government. Some biographical documentaries investigate the inner life or underbellies of their famous subjects, others are tribute films that present celebrities in a (sometimes artificial) glowing light. 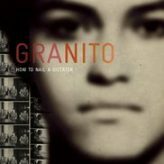 Here, in alphabetical order, is a list of some important documentaries about a wide range of celebrated personages — some contemporary and others historical, some famous and others infamous — whose biographies will fascinate and inspire you.